SM Group, composed of 5 listed companies, is one of the largest listed companies in the Philippines and one of the largest integrated property developers in Southeast Asia. 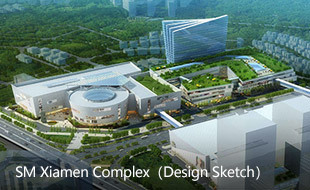 It was established in 1958 by Mr. Henry Sy, Sr., a Filipino of Chinese descent. SM's major businesses cover areas of mall operation, hotel, retail (supermarkets, department stores and brand stores), tourism, banking and financial services. SM Group was founded by Mr. Henry Sy, Sr. in 1958,which includes supermarkets, department stores, shopping centers, banking, real estate development, and tourism sectors. Shopping centers are the company's core businesses. 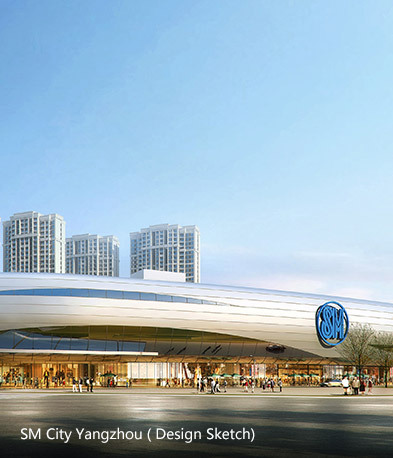 SM Group has 79 large-scale shopping centers in Asia, with a total area of nearly 9.77 million square meters. 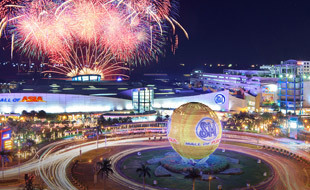 SM Group now possesses three of the world's top ten shopping centers: SM Megamall, SM City North EDSA and SM Mall of Asia. 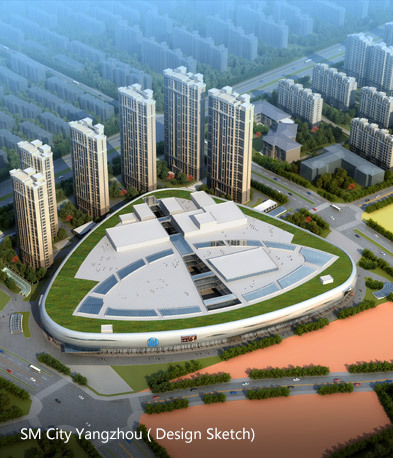 Since the entering into Chinese market, SM Prime has invested shopping centers in Xiamen, Jinjiang, Chengdu, Suzhou, Chongqing, Zibo, Tianjin, and Yangzhou cities. 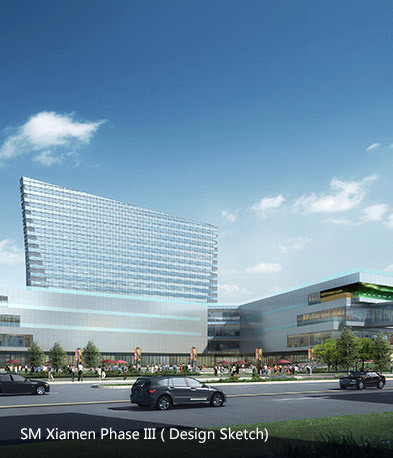 Its masterpiece –SM City Tianjin, which will become one of the largest shopping centers in the world with the floor area of 560,000㎡– has officially launched world-wide leasing and soft opening on Dec.17th, 2016. 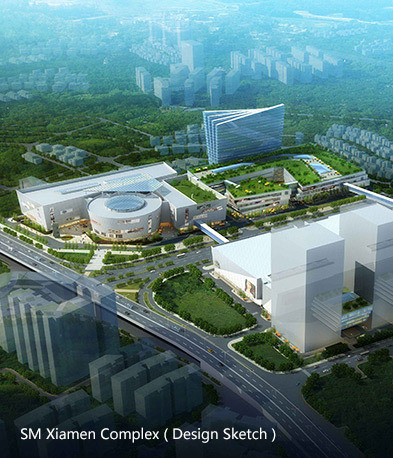 These projects have demonstrated the goal and impact of SM Prime's strategy to build "new centers of urban life" ,which also improved local business facilities and quality of city life. In the future, with the vision of "Lifestyle Cities", we will bring brand-new urban life and provide a wonderful lifestyle for more Chinese cities. With the rapid development of SM, it now has more than 20,000 tenants worldwide and has become an important partner of retailers. 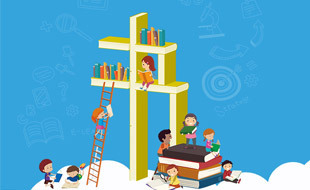 SM pays much attention to the development of small-and-medium-sized retailers and will provide more opportunities for new innovative retailers with creative ideas, thus satisfy the growing demands of our customers. As chairman of SM Prime Holdings, Mr. Henry Sy, Sr. is acknowledged as "Retail King of the Philippines". In 2005, the American magazine "Times" covered the story on the SM management. In 2016, magazine "Forbes" covered the story about Mr. Hans Sy, the current Chairman of Executive Committee of SM Prime Holdings on the SM development. SM Prime Holdings was rated as "One of Asia's Most Admired Companies" by "The Wall Street Journal Asia" in 2006. And it was awarded as Best Investor Relations Company by Corporate Governance Asia in 2016.
contributing to a vibrant life for countless people.